Again I' having a hard time judging my promo. There are a lot of good and promising entries. If only I can give more than i prizes. But there would only be one every week. Here are this week's entries. Ryan's toy photographs of Po from Kung Fu Panda and Collosus from X-Men the Last Stand. 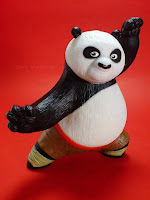 I loved "Kung Fu Panda"! And I instantly fell in love with this Happy Meal Po the moment I saw the Mcdonald's commercial. So off I went to the nearest outlet, only to be dismayed. They ran out of Po figures. I went to a lot of other branches, but still, I wasn't lucky to get my hands on him. Apparently, a lot of the branches ran out of stock within days of release. Marvel Legends x3 Colossus. Originally 699 pesos, I got it on sale for 299 pesos! Too bad they ran out of the x3 Jean Grey and Juggernaut. Colossus was one of the characters that I was excited about in the movie, because he was probably one of the closest to the comic book characters that they cast--save for Prof. X. Patrick Stewart was perfect. I was a bit disappointed that he didn't get much screen time and dialogue. 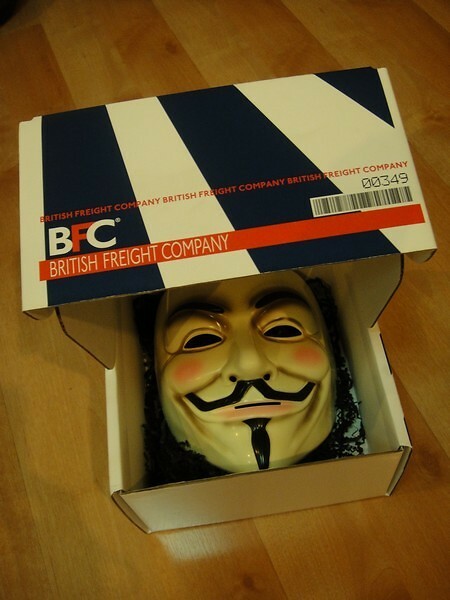 Rowena's Shaving blade from Sweeney Todd and Mask from V for Vendetta. And lastly an entry from Arvin. A bunch play bills. It's nice to reminisce the plays whenever I keep the playbills of the plays I watch. These are just some of the playbills I have acquired through the years. I have watched quite a number of plays but unfortunately, sometimes I ran out of copies because playbills get sold out. 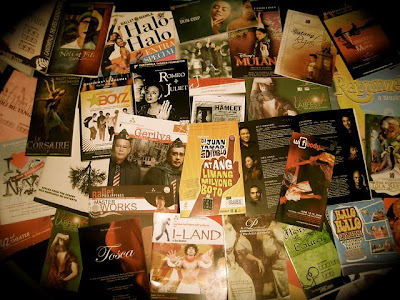 Since January 2008 until the present, I watch about 4-7 plays every month. Then there were months wherein I have watched about 20 plays or so. My passion for theater is inevitable! But I enjoy every single day of it. Theater has been my second home! 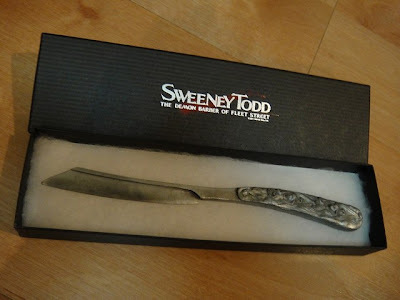 Rowena's Sweeney Todd Shaving Knife. I chose this entry because this item is very rare. It is not sold on the market and only given as promotional items. And I also love Sweeney Todd especially that movie adapted by Tim Burton starring Johnny Depp and Helena Bonham Carter. Very bloody and surreal. 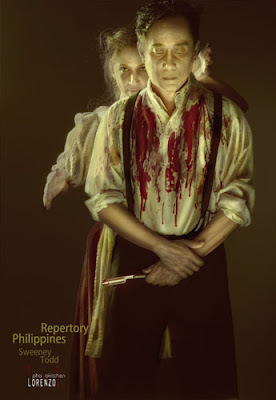 Actually there is an upcoming local presentation of Sweeney Todd to be served by Repertory Philippines from November 14. Sweeney Todd and stage musical fans must check it out. Congratulations Rowena. Please get in touch with me and provide me withh all of your contact details including mailing address so that we can send your prize to your home. Thank you very much to all who submitted their entries. Everyone are still welcome to join and submit their entries this week. We are on a very spooky week this time. Scare me and you will have the chance to get that P2000 worth Ayala EGC.